For many University of California, Santa Barbara students, the commencement ceremonies that happen the weekend after finals are the last hurrah. However, for some soon-to-be graduates, those university-led ceremonies are precluded by something a little more special. Cultural graduations serve as a final celebration within the communities that some students belong to. Organizations like Kapatirang Pilipino and the Vietnamese Student Association fundraise and plan year-round to commemorate the achievements of their members. Other groups and campus departments such as the Resource Center for Sexual and Gender Diversity (RCSGD) also hold graduations for people who identify as part of a certain community on campus. While VGrad is celebrating its first graduating class, other organizers have been hosting various cultural graduations for years. 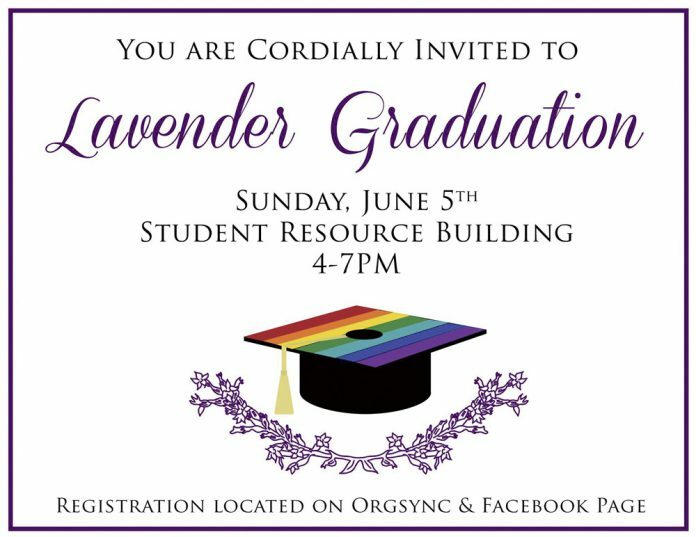 For example, the 2016 Lavender Graduation (for graduates in the LGBT+ community) will be the 17th of its kind. Cultural graduation ceremonies take place at the tail end of finals week, often prior to and in between campus commencement ceremonies. Organizers book large, popular venues such as Storke Plaza and Harder Stadium to welcome family and friends honoring their graduates’ achievements. What makes each celebration different is its ties to its respective communities. Many include speeches in different languages or music embracing the culture. Notable individuals in each community, along with campus figures like Vice Chancellor of Student Affairs Margaret Klawunn gear up to speak at the ceremonies. While not every individual community has a separate graduation ceremony, and not all community members who identify with a culture participate in the ones of the identity they choose, a sizable portion do. Many UCSB students choose to participate in cultural graduation ceremonies in tandem with walking the lagoon lawn commencement ceremony, with dozens of students participating in many of the individual ceremonies. However, the biggest cultural graduation ceremony on campus is the 2016 Chicanx/Latinx Graduation, with over 250 students gearing up to walk their stage. For some of the students who choose to participate, their reasoning can stretch far beyond celebrating culture and identity. It can be as simple as validating their ability and achievement of graduating from college. Cultural graduations draw funding from Associated Students entities, club membership dues and fundraising efforts around campus (Krispy Kreme at the Starbucks on Pardall and ramen burgers at the Student Resource Building grill come to mind). As some feel there is a niche to fill in the UCSB community in recognizing achievement with a cultural emphasis, organizers find it vital to keep them going to provide visibility and recognition for the work that community members do on campus.